10 Oct 2012: [Extension] I have been quiet for a while. The term has started, and when I get home, it is dark. I decided that the frame of the opening needs lining before I can plaster it, either side. Also, there is a lot I like to do, inside and out, but cannot until the window is fitted. This is due to arrive and be installed on Friday of this week. 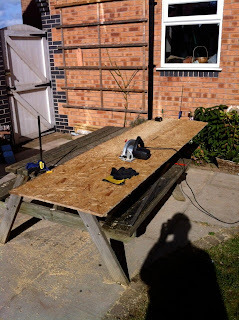 Having a spare sheet of 8mm OSB is useful as this can be used as a 'ground' for the opening. 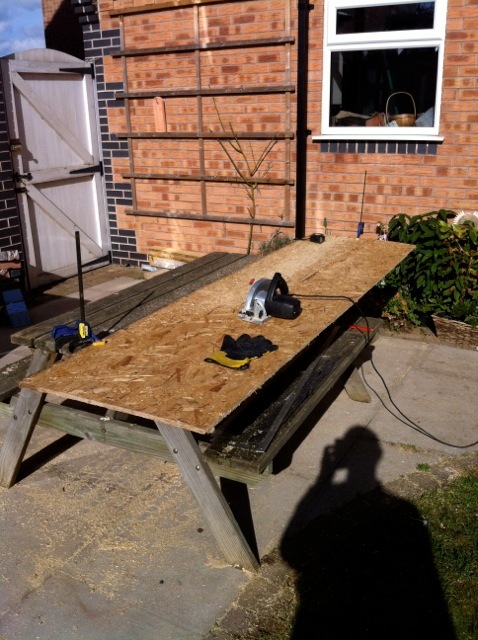 This is cut into 290mm wide strips for the sides and the soffit. Now the side and soffit lining are in place, held either with small anchor bolts to the wall or self tapping screws to the steel lintel. 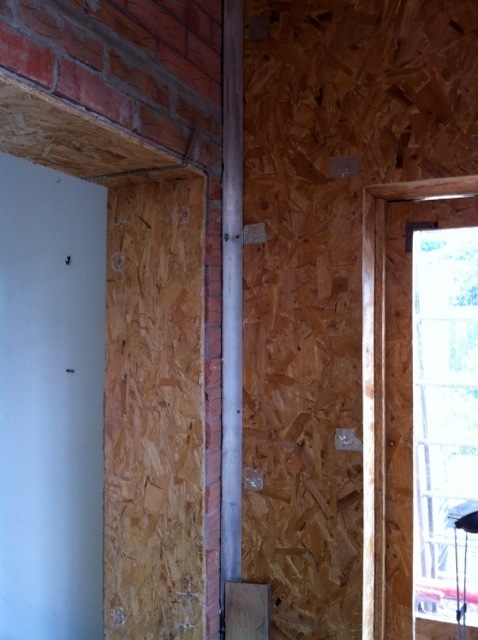 These are absolutely plumb and level, so the final plywood lining will go in cleanly. Also, not photographed, is that I have started making the vertical duct that will take the solar thermal panel pipes from the roof up to the hole in the wall where they will enter the loft-space.